Need Help Finding Your Dream Car? 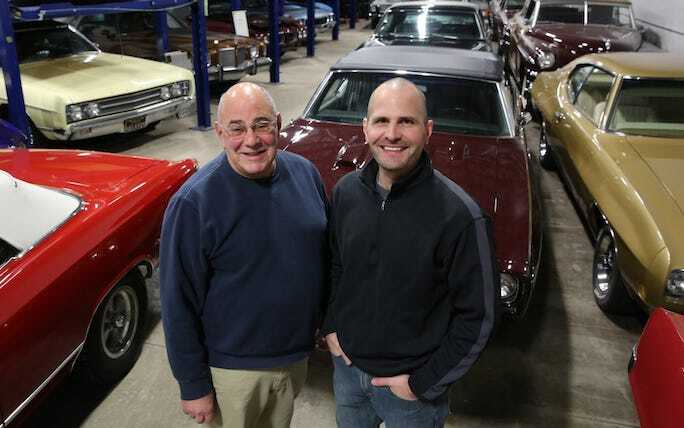 Valenti Classics, Inc. is a father/son business that began back in 1991 as a father/son project, and a step back in time. Currently we have cars in 34 different nations on all continents except Antarctica and every U.S. State except Alaska. Don, my father, and I, Steve Valenti, purchased and began restoring in our garage a 1961 Corvette, to bring back the memories of my father’s first new car. We received so much recognition for our restoration that we decided to open our doors to other people’s collector car desires. We opened our business with a focus on both sales and restoration, hunting barns, city streets, and auctions for unique and highly valued cars to restore or resell via our global network of enthusiasts. Over time, we became renowned and somewhat unique in our ability to offer a full suite of services to the collector car world: offering consulting, skilled restoration, historical authentication, custom builds, sales, service, and procurement (specialty hunting). We have grown in both revenue and size, employing a greater number of highly talented and unique mechanical artists to maximize our service and restoration capabilities. Along the way, we have also increased our capability and demand in the field of custom builds.